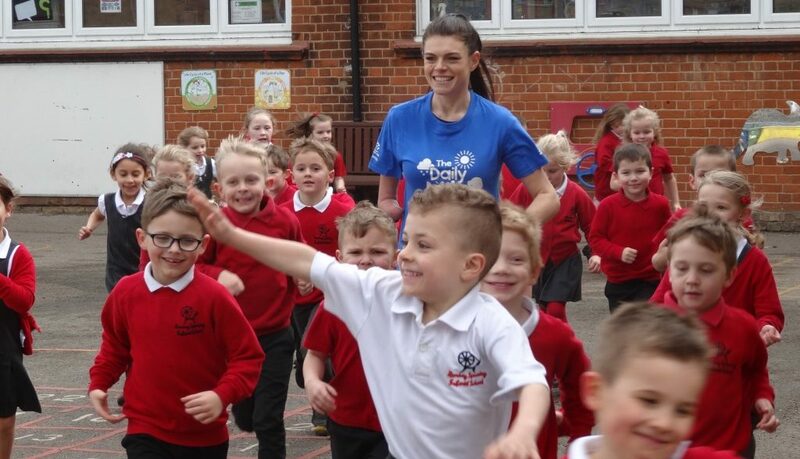 Lauren Steadman Launches The Daily Mile Across Cambridgeshire & Peterborough! Thursday 28th February saw the launch of The Daily Mile initiative across Cambridgeshire and Peterborough by triple World Champion, Para-Triathlete Lauren Steadman. 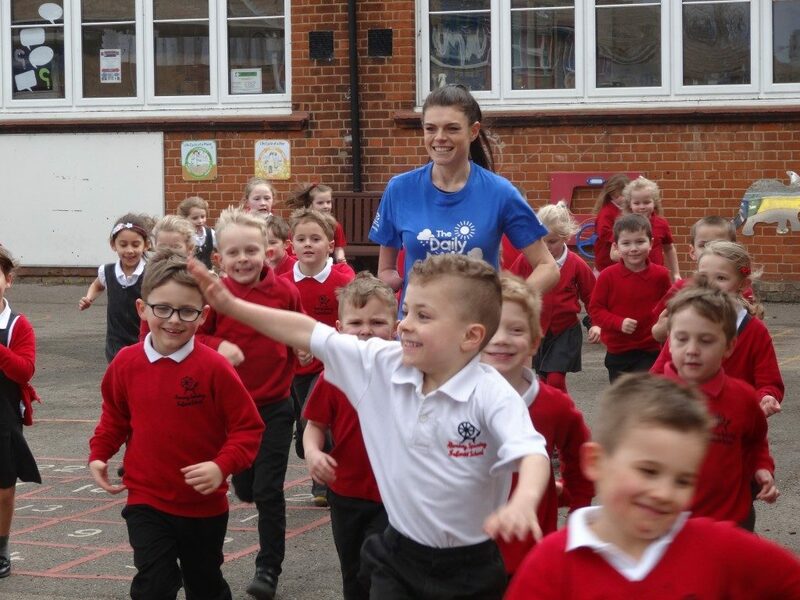 Lauren hails from Peterborough and came back to her roots to celebrate the success of The Daily Mile at Winyates Primary School, in Peterborough, as well as nip down the road to Ramsey to launch Ramsey Spinning Infant School’s inaugural Daily Mile! Lauren is keen to see children participating in regular physical activity and The Daily Mile does just this! The Daily Mile, founded in 2012 by Elaine Wyllie, sees children jog or run at their own pace, for up to 15 minutes daily. Its strength is the simplicity of the initiative, with children going straight from the classroom to the playground or field, to complete their 15 minutes of physical activity. The benefits are already being seen in our schools, with children noticeably fitter, able to concentrate for longer and showing increased resilience.